A growing body of research has tied air pollution to many different health conditions. 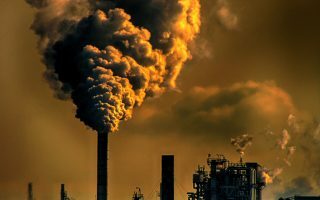 We now know that, beyond its respiratory effects, air pollution can contribute to cardiovascular illnesses, bladder cancers and even diabetes. Now, there’s even evidence that the level of pollution in the air you’re breathing could be affecting your mood. A new study conducted using social media and air quality data from China show that higher levels of air pollution could be leading to lower levels of happiness. The new study analyzed Twitter activity from 144 Chinese cities and used a word analysis method to determine how happy the populations of those cities were on any given day. That happiness rating was then compared to air quality data from the same cities to determine whether or not air pollution levels were impacting peoples’ happiness. The results of the study found that greater amounts of particulate matter air pollution correlated strongly with lower overall happiness, even after correcting for other factors. Although the study indicated that women were more susceptible than men to the effect of air quality on happiness, both men and women displayed considerably lower levels of happiness when pollution was worse. Although it isn’t as serious as the cancers and chronic diseases that air pollution is also associated with, this reduction in happiness is just another example of the many issues that low-quality air is known to correlate with. As the research around air pollution continues to expand, we’re gaining more and more insights into how harmful polluted air can be for every aspect of our lives. If you’re interested in protecting your health with cleaner air, a home air purifier can help. Check out our selection of residential air purifiers, or feel free contact us with your questions for personalized product recommendations.